The company is established as a legal entity to fight the injustice done to women born in the 1950s (on or after 6 April 1951) regarding the changes to their state pension age and to manage their interests including managing legal action. It will also promote and carry out the regulation and governance of fundraising carried out for such purposes. Full Members -­ No person shall be admitted as a member of the Company unless she is a woman born in the 1950s who has been affected by the increase in UK State Pension Age and as such has interests. Every person who wishes to become a member shall deliver to the Company an application for membership in such form that the Directors require executed by her with such additional information or evidence as Directors may require with regard to her eligibility for consideration for membership of the company. This application will be accompanied by the Annual Membership Fee. Concession Members – will be women in the same category as above but who are in receipt of UK State Benefit and who will be a reduced donation rate and who submit an application in such form as required. Associate Members -­ will be supporters of the campaign who have donated a minimum of the full membership fee and who submit an application in such form as required. Associate members are entitled to attend General Meetings but will be excluded from voting & representation on committee. A member may at any time withdraw from the Company by giving notice in writing to the Company. There is no refund of membership fee. Membership is not transferable and ceases on death. Members will pay a joining fee or an annual renewal fee for ongoing membership. This fee is set at £25 per annum, £15 per annum if the member is in receipt of UK State Benefits. If the fee is to be changed then this will be voted on at an Annual General Meeting and communicated to all members. The liability of members of a company limited by guarantee is limited to the sum of £1. The liability, being the amount that each Member undertakes to contribute to the assets of the Company in the event of its being wound up while he is a Member or within one year after he ceases to be a Member, for payment of the Company’s debts and liabilities contracted before she ceases to be a Member, payment of the costs, charges and expenses of the winding up, and adjustment of the rights of the contributories among themselves. This liability cannot be extended. • has failed to observe the terms of these Articles. Following such termination, the Member shall be removed from the Register of Members. following such consideration. There shall be no right to appeal from a decision of the directors to terminate the Membership of a Member. A Member whose Membership is terminated under this Article shall not be entitled to a refund of any subscription or Membership fee (if any) and shall remain liable to pay to the Company any subscription or other sum owed by her. Members do not have rights of ownership in the company. Any surplus on winding up is to be paid to UK registered charities that are approved by the members at an Annual General Meeting. • Electing representatives who will have a place on the Board of Directors of Women Against State Pension Inequality Ltd.
• Attending an Annual General Meeting to learn about the company’s finances and vote on important matters to agree on our long-term strategy and our governance structure, approve audited accounts, elect committee and to elect the Board. • Elected representatives will be appointed as Member Directors to attend Board Meetings. • Having the right as a member to put forward a resolution to decide the minimum and maximum number of Directors or to remove a Director, subject to rules on quorum and majority. Members will be entitled to stand for election to a committee to represent their views and opinions to the Board of Directors. This Committee will constitute up to 15 members who will be nominated and seconded and then voted for by full members where there are more than 15 nominations. Each member can nominate once. This committee will meet at least biannually and from that Committee shall be elected 2 Members to sit on the Board of Directors of Women Against State Pension Inequality Ltd.
Every Member present in (or by proxy) shall on a poll have one vote. Votes may be organised via online facility and every member will have one vote. A poll may be demanded at any general meeting by decision of the Directors present and persons entitled to vote at the meeting. An Annual General Meeting and an extraordinary general meeting called for the passing of resolution or a resolution appointing a person as a Director shall be called by at least 21 clear days’ calendar notice. All other extraordinary general meetings shall be called by at least 14 clear days’ notice. An ordinary general meeting may be called by shorter notice if it is agreed by all the members entitled to vote. The notice shall specify the time and place of the meeting and in the case of an annual general meeting shall specify the meeting as such. Notice shall be distributed to all Directors and members. No business shall be transacted at any general meeting unless a quorum of 5 is present. On a show of hands and on a poll every member present in person or by proxy shall have one vote. The income and property of the Company from wherever derived shall be applied solely in promoting the Company’s objectives. 9.4. reasonable out-­of-­pocket expenses properly incurred by any director. Women Against State Pension Inequality Ltd (Waspi Campaign) is committed to a policy of protecting the rights and privacy of individuals, voluntary members, volunteers, staff and others in accordance with The Data Protection Act 1998. The policy applies to all voluntary members and staff at the community Centre. Any breach of The Data Protection Act 1998 or Waspi Campaign Data Protection Policy is considered to be an offence and in that event, disciplinary procedures apply. As a matter of good practice, other organisations and individuals working with the Waspi Campaign and who have access to personal information, will be expected to have read and comply with this policy. 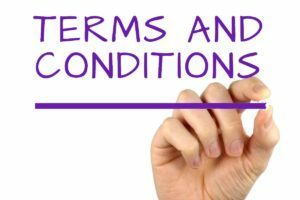 It is expected that any staff who deal with external organisations will take responsibility for ensuring that such organisations sign a contract agreeing to abide by this policy. Women Against State Pension Inequality Ltd will always put our logo on appropriate paperwork, stating their intentions on processing the data and state if, and to whom, we intend to give the personal data. Also provide an indication of the duration the data will be kept. We will not use data for a purpose other than those agreed by data subjects (voluntary members, staff and others). If the data held by us are requested by external organisations for any reason, this will only be passed if data subjects (voluntary members, staff and others) agree. Also external organisations must state the purpose of processing, agree not to copy the data for further use and sign a contract agreeing to abide by The Data Protection Act 1998 and Women Against State Pension Inequality Ltd Data Protection Policy. We will provide our members (voluntary members, staff and others) with a copy of their data once a year for information and updating where relevant. All amendments will be made immediately and data no longer required will be deleted or destroyed. It is the responsibility of individuals and organisations to ensure the data held by us are accurate and up-to-date. Completion of an appropriate form (provided by us) will be taken as an indication that the data contained are accurate. Individuals should notify us of any changes, to enable personnel records to be updated accordingly. It is the responsibility of the Organisation to act upon notification of changes to data, amending them where relevant. • Be informed upon the request of all the information held about them within 40 days. • Prevent the processing of their data for the purpose of direct marketing. • Compensation if they can show that they have been caused damage by any contravention of the Act. • The removal and correction of any inaccurate data about them. Appropriate technical and organisational measures shall be taken against unauthorised or unlawful processing of personal data and against accidental loss or destruction of data. All Organisation computers have a log in system and our Contact Database is password protected, which allow only authorised staff to access personal data. Personal and financial data is kept in a locked situation, and can only be accessed by the Executive officers. When staff members are using the laptop computers out of the office care should always be taken to ensure that personal data is password protected, on screen is not visible to strangers. 8. Not transferred to countries outside the European Economic Area, unless the country has adequate protection for the individual. Data must not be transferred to countries outside the European Economic Area without the explicit consent of the individual. The Organisation takes particular care to be aware of this when publishing information on the Internet, which can be accessed from anywhere in the globe. This is because transfer includes placing data on a web site that can be accessed from outside the European Economic Area.